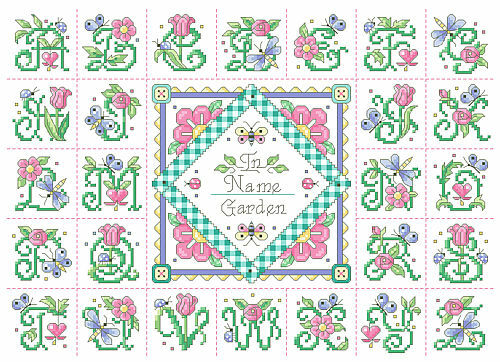 A garden of delights awaits you while stitching this cheerful garden theme alphabet sampler. Butterflies and flowers bloom in every letter. 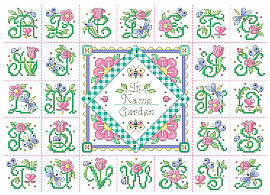 Pattern includes an alphabet to personalize the quilt style square in the middle to show who’s the gardener in your world.